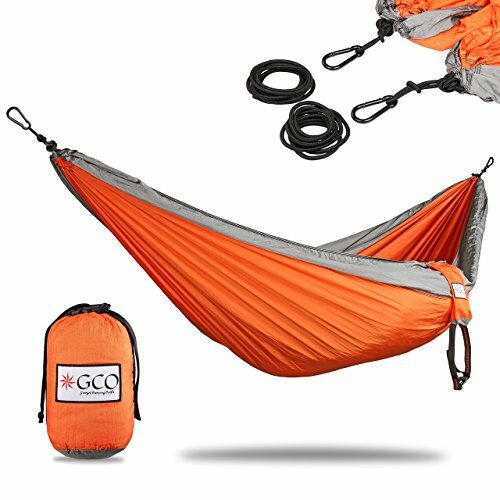 Strong Portable Hammock, 700 lbs. 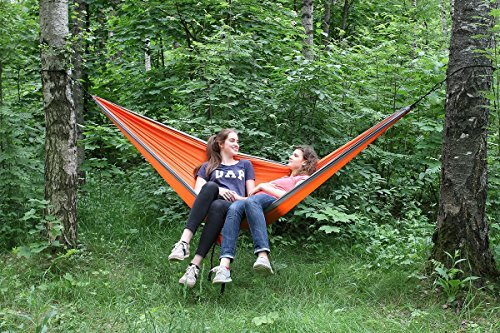 Double Camping Hammock (118″ x 78″). 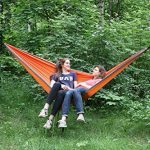 Parachute Nylon Hammock for 2 Persons. 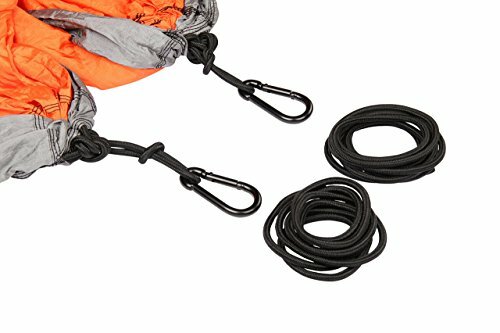 1) Package: In package is included Hammock with carry bag, two steel carabines and two ropes 70″ for hanging of Hammock. 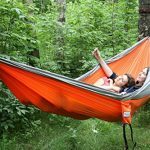 Adjustable Straps shown on photos 3&4 are sold separately, as additional Hammock Accessories. 1) BIG SIZE 118″ x 78″. 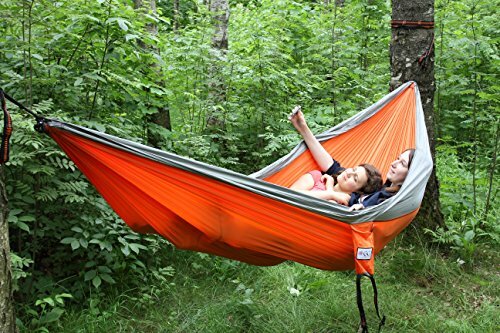 This Double Hammock is comfortable for 2 persons. 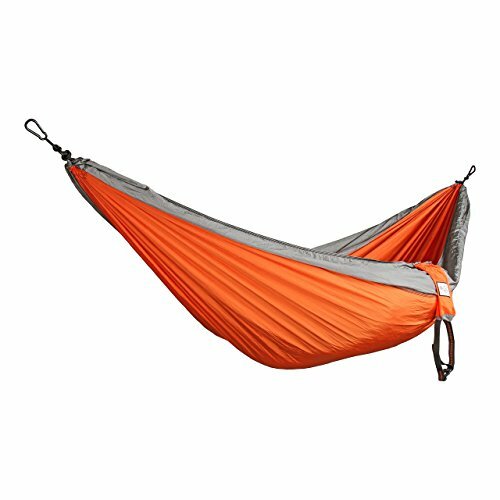 2) SUPER STRONG CAPACITY is 700 pounds (factory tested). 3) EASY to HANG and Applicable everywhere. Can be used with a STAND, can be used INDOOR. 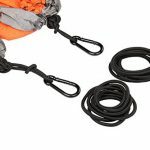 In package is included two steel carabiners and two ropes 70″ for hanging of Hammock. Adjustable Straps shown on photos 3&4 are sold separately, as additional Hammock Accessories. 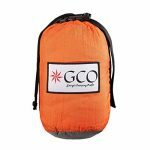 4) PORTABLE, LIGHTWEIGHT and COMPACT, good for CAMPING. It’s only 2 pound and 10 x 5 x 5 inches in packed condition. 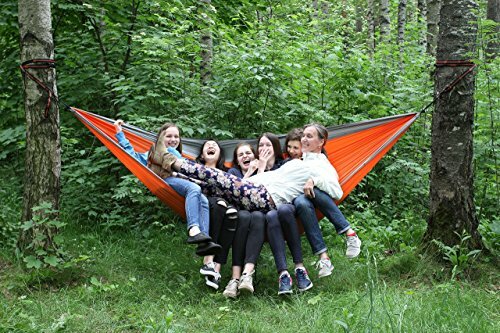 The Hammock can be converted into big BLANKET by removing of suspending ropes. 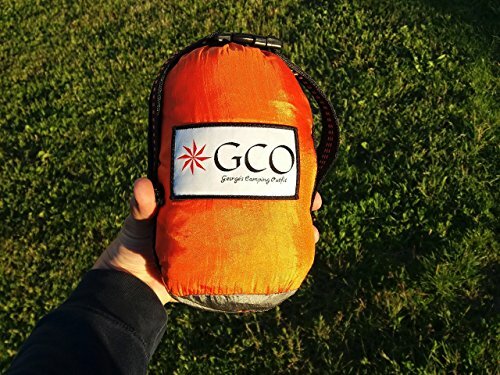 5) PARACHUTE NYLON is NICE and SOFT. 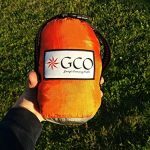 You will not feel cold or hot, you will be cradled by its smooth material. 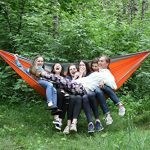 The Hammock is very breathable, mildew-resistant and extra durable. 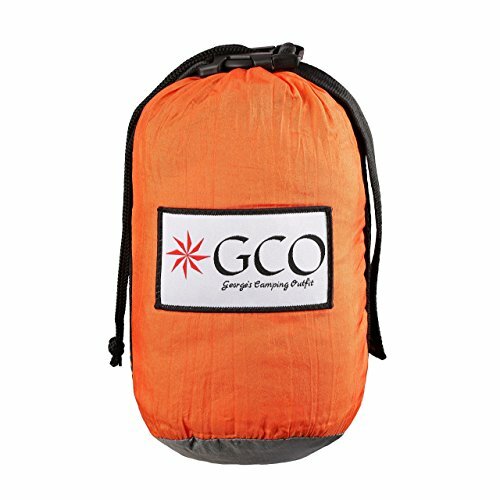 EASY TO WASH, it gets dry in 30 minutes.